Portograms taken before (A) and after (B) embolization of the right portal branches. Portal vein embolization was performed through a percutaneous transhepatic approach in this patient. The right anterior and posterior branches were completely occluded with gelatin powder. Hepatic plasma clearance of sorbitol measured in 13 patients before and after portal vein embolization. Values are expressed as mean ± SD. Hepatic plasma clearance of sorbitol was stable throughout the observation period. Hepatic antipyrine plasma clearance measured in 13 patients before and 14 days after portal vein embolization. No significant change was observed (paired t test) after embolization. Volumes of the right lobe (with portal vein embolization [PVE], A), the left lobe (without PVE, B) and the total liver (C) before and 14 days after PVE. The volume of the left lobe increased and the volume of the right lobe decreased (P<.05 in each case), such that the total liver volume did not change significantly. Hypothesis Abrupt occlusion of hemihepatic portal vein induced by preoperative portal vein embolization (PVE) may result in drastic alterations in blood flow and functional mass of the liver. Design Prospective study investigating the outcome of an intervention (PVE). Setting University tertiary-care referral center. Patients Thirteen patients who underwent PVE before extended right hepatectomy. Main Outcome Measures The functional plasma flow and functional mass of the liver as well as the volumes of the left and right lobes were assessed before and after PVE. The functional plasma flow and functional mass of the liver were estimated by measuring the hepatic clearances of sorbitol (a high-extraction drug) and antipyrine (a low-extraction drug), respectively. The liver lobar volumes were measured by computed tomography. Results Hepatic plasma clearance of sorbitol (mean ± SD; before PVE, 632.9 ± 142.9 mL/min; day 14, 620.2 ± 138.3 mL/min; not significant by 1-way repeated analysis of variance) and that of antipyrine (before PVE, 27.3 ± 12.0 mL/min; day 14, 27.9 ± 13.6 mL/min; P = .85, by paired t test) were stable after PVE. Fourteen days after PVE, the non–PVE-treated lobe was enlarged (mean ± SD, 137% ± 30%) and the PVE-treated lobe was atrophic (mean ± SD, 87% ± 15%); however, the total liver volume did not change significantly. Conclusions The functional mass and plasma flow of the entire liver were stable after PVE despite the drastic change in the lobar distribution of the portal blood flow, whereas the non–PVE-treated lobe increased significantly in size. Our findings suggest that PVE leads to an increase in both the volume and the functional capacity of the non–PVE-treated lobe. Preoperative portal vein embolization (PVE), which was first reported by Makuuchi et al,6 is now being performed widely to prevent liver failure, with the aim of inducing atrophy of the PVE lobe and compensatory hypertrophy of the lobe that remains intact after hepatectomy.7 Although the remaining lobe increases in volume for 2 to 3 weeks after PVE, as shown by serial computed tomography (CT),3,4,7-9 little is known about the effect of PVE on the blood flow and function of the liver. In the present study, changes in these two measures were estimated through pharmacologic methods. In brief, functional plasma flow and functional mass of the liver were assessed after PVE in 13 patients by measuring the hepatic clearance of high– and low–liver extraction drugs, ie, sorbitol and antipyrine, respectively. Lobar volume changes after PVE were determined by serial CT and compared with the clearance data. The study population comprised 13 patients who underwent right PVE 2 to 3 weeks before extended right lobectomy of the liver. They were 10 men and 3 women, with a mean age of 63.5 years (range, 48-77 years). The protocol was approved by the ethical committee of our institution. Each patient gave his or her written fully informed consent before the study. Of these 13 patients, 9 had bile duct carcinomas, 2 had gallbladder carcinomas, and 2 had tumors metastatic to the liver. Nine patients had obstructive jaundice that required biliary drainage; 2 were treated by the percutaneous transhepatic puncture method and 7 were treated by the endoscopic retrograde method. The PVE was performed after jaundice was relieved (serum total bilirubin level, <5.0 mg/dL [<85.5 µmol/L]). Absence of fibrosis or cirrhosis was confirmed in all patients at the time of scheduled surgery both macroscopically and histologically. The PVE was performed as described previously.8 Transileocecal venous approach was adopted in 11 patients and percutaneous transhepatic approach in 2. The embolization material was a mixture of 0.5 to 1.0 g of gelatin powder (Upjohn Co, Kalamazoo, Mich), 2500 to 5000 U of thrombin (Green Cross Corp, Osaka, Japan), 10 to 20 mL of diatrizoate sodium meglumine (60% Urografin; Schering AG, Berlin, Germany), and 40 mg of gentamicin sulfate. Cessation of blood flow in the right portal branches was confirmed in each patient by portography immediately after PVE (Figure 1). Hepatic plasma flow was estimated by measuring the hepatic plasma clearance of sorbitol (CLss,h) 1 day before PVE, approximately 4 hours after PVE, 7 days after PVE, and 14 days after PVE. The functional liver mass was estimated by measuring the hepatic plasma clearance of antipyrine (CLAP) before PVE and 14 days after PVE. Drugs such as ascorbic acid, which would interfere with the measurement of plasma concentration of sorbitol, were not given during the study period. The volumes of the left and right lobes were estimated by serial transverse CT before PVE and 14 days after PVE. The standard biochemical measures, including total bilirubin, serum aspartate aminotransferase, and serum alanine aminotransferase levels, were performed 1 day before and 7 and 14 days after PVE. The functional liver mass was evaluated by measuring the CLAP by a previously reported method.12 Blood was collected into heparinized polyethylene centrifuge tubes via the indwelling needle at 2, 4, 8, 12, 24, and 48 hours after an oral dose of 400 mg of antipyrine. Antipyrine was administered immediately after the sorbitol clearance test was terminated. After centrifugation, the plasma samples were stored at −80°C until analysis. The plasma concentration of antipyrine was measured by high-performance liquid chromatography.13 The plasma concentration of antipyrine (C) from 2 to 48 hours after oral administration followed one exponential equation, C = C0 × e−kt, where C0 is the initial plasma concentration extrapolated to time zero, k is the plasma elimination rate constant, t is the time from administration of antipyrine until blood sampling, and e−kt is the exponential of −kt. Therefore, CLAP was calculated by means of the equation CLAP = (k× dose)/C0.Both variables were calculated by nonlinear regression analysis. To evaluate liver cell damage and function, we measured total bilirubin (in milligrams per deciliter), aspartate aminotransferase (in units per liter), alanine aminotransferase (in units per liter), serum lactate dehydrogenase (in units per liter), serum cholinesterase (in units per liter), percentage prothrombin activity, and activated partial thromboplastin time (in seconds) by standard methods. The volumes of the hepatic lobes 2 weeks after PVE were calculated from the serial transverse CT images according to the method of Heymsfield et al.14 The total liver volume was calculated by adding together the volumes of the left and right lobes. All data are expressed as the mean ± SD and were compared by the paired t test or 1-way repeated-measures analysis of variance. Differences were considered to be significant at P<.05. The PVE was carried out safely in each patient and no operative complications were noted. Recanalization of the embolized portal vein had not developed in any patient at the time of the second antipyrine and sorbitol test, as evaluated by color Doppler ultrasonography and CT scan. The scheduled extended right hepatectomy was performed 2 to 3 weeks after PVE in 10 patients. In the other 3 cases, the decision not to resect the liver was made on the basis of intraoperative findings such as tumor invasion of the hepatoduodenal ligament and peritoneal dissemination. The functional plasma flow of the liver, represented by CLss,h, did not change significantly throughout the observation period (1-way repeated-measures analysis of variance); it was 632.9 ± 142.9 mL/min (range, 438.4-953.2 mL/min) 1 day before PVE, 647.9 ± 134.8 mL/min (range, 431.7-876.5 mL/min) 4 hours after PVE, 638.9 ± 151.6 mL/min (range, 357.0-814.0 mL/min) 7 days after PVE, and 620.2 ± 138.3 mL/min (range, 467.2-871.0 mL/min) 14 days after PVE (Figure 2). The functional mass of the entire liver, represented by CLAP, was similar before PVE, 27.3 ± 12.0 mL/min (range, 10.7-48.9 mL/min), and 14 days after PVE, 27.9 ± 13.6 mL/min (range, 8.8-53.6 mL/min) (P = .85 by paired t test) (Figure 3). The volume of the right lobe (with PVE) decreased from 769 ± 166 cm3 (range, 413-1080 cm3) before PVE to 661 ± 154 cm3 (range, 380-937 cm3) 14 days after PVE (P = .01, Figure 4A), whereas the volume of the left lobe increased from 344 ± 60 cm3 (range, 243-450 cm3) to 472 ± 130 cm3 (range, 295-784 cm3) (P<.001, Figure 4B). The total liver volume did not change significantly(P = .61); it was 1113 ± 213 cm3 (range, 656-1530 cm3) before PVE and 1133 ± 235 cm3 (range, 675-1502 cm3) 14 days after PVE (Figure 4C). The biochemical data for each patient are summarized in Table 1. The mean total bilirubin level was significantly lower 14 days after PVE than before PVE (P<.001). The other biochemical measures did not show significant change. The PVE did not affect the hepatic clearance of antipyrine, which we evaluated on the 14th postoperative day. Consequently, we conclude that abrupt occlusion of the hemihepatic portal vein by PVE does not change the total functional mass of the liver. To support this consideration, the biochemical data did not change significantly after PVE, except for the total bilirubin value, which was decreased after PVE probably because of the biliary drainage. 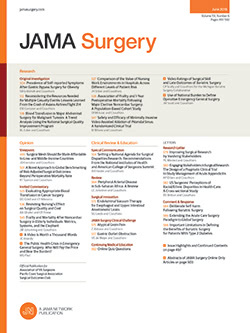 The finding that PVE did not have a deleterious effect on the liver as a whole is of major clinical concern because not all of the patients who undergo PVE subsequently undergo the planned extensive hepatic resection.7 Although the functioning of the left and right lobes cannot be assessed directly, 2 pieces of indirect evidence indicate that there is a net gain in the functional mass of the non–PVE-treated lobe after PVE. First, in the present study the total liver volume was unchanged because the volume increase in the non–PVE-treated lobe balanced the decrease in the PVE lobe (Figure 4C). Second, in a previous study, both the non–PVE-treated lobe and the PVE-treated lobe were similar histologically to normal liver, except for an increase in sinusoidal areas with low hepatocyte density in the PVE-treated lobe.31 This finding suggests that there is no difference in the functional efficiency of each hepatocyte in either lobe. Therefore, it is highly likely that the functioning of each hepatic lobe is proportional to its volumetric ratio both before and after PVE. Therefore, on the basis of unchanged total functional hepatic mass and total liver volume, we think that there was a net gain in the functional capacity of the non–PVE-treated lobe. These findings also suggest that the PVE lobe still functioned to a certain degree in the absence of portal flow at the time of right lobectomy. Of the present 10 patients who underwent scheduled extensive hepatic resection, postoperative CT examination was conducted in 2 patients to search for the focus of possible infection responsible for postoperative fever. In one patient, left lobar volume increased from 407 mL to 1088 mL in 30 days after hepatic resection; in the other patient, an increase from 548 mL to 674 mL occurred 17 days after right lobectomy. These results support the above notion, ie, that the volume of the patient's left lobe was increased further to compensate for the loss of the partially functioning right lobe after PVE. In conclusion, the present findings suggest that PVE increases the volume and functional capacity of the non–PVE-treated lobe without altering the blood flow of the entire liver and without having a deleterious effect on the liver as a whole. Accepted for publication July 29, 2002. Preliminary data were presented at the 51st Annual Meeting of the American Association for the Study of Liver Diseases, Dallas, Tex, October 29, 2000. Corresponding author and reprints: Hiroshi Imamura, MD, Division of Hepato-Biliary-Pancreatic Surgery, Department of Surgery, Graduate School of Medicine, University of Tokyo, 7-3-1 Hongo, Bunkyo-ku, Tokyo 113-8655, Japan (e-mail: himamura-tky@umin.ac.jp).